Microsoft working on quadrupling Kinect's resolution; improving accuracy. 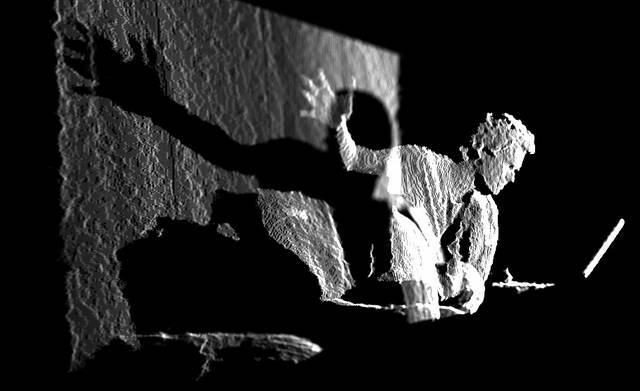 Kinect's depth sensor can output at a resolution of 640x480 but is currently being limited to 320x240 due to the limitation of the Xbox 360's USB controller interface, according to a report from Eurogamer. Microsoft are said to be working "very hard" on compression technology to allow a greater amount of data to pass through to the Xbox 360. It would also likely come at the cost of not being able to use Kinect simultaneously with another USB device, such as streaming a game installed on a USB flash drive. If Microsoft's goal is achieved, a simple upgrade of Kinect's firmware could fully open up its potential to developers. This would not only improve accuracy of the current full-body gameplay, but allow for finer detail and tracking of smaller body parts such as fingers, and subtler movements such as a wrist twist.